When someone tells me how unreliable used German cars are, I refer them to my daily driven Mercedes S-Class and the German cars I’ve owned in the past year. Then I’d refer them to this amazing Mercedes E55 AMG to show them that financing a Hyundai is never the way to go. 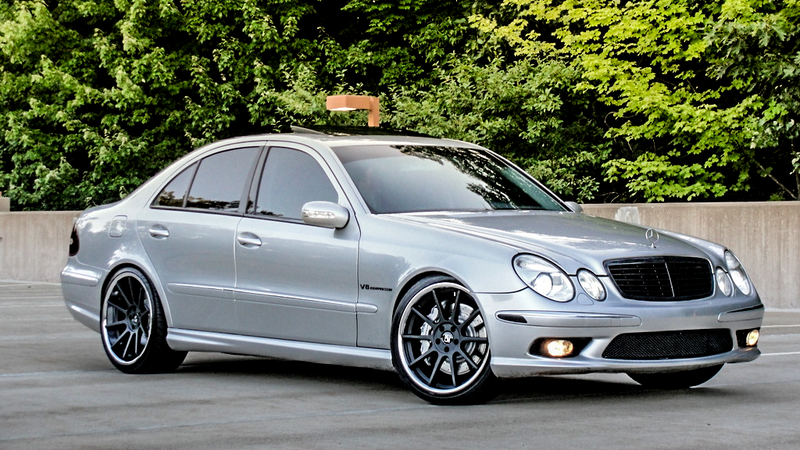 This 2005 Mercedes-Benz E55 AMG is a car that isn’t built to the limits of technology - it’s overbuilt to a degree that its stout drivetrain is one flash and a few supporting mods away from power that would shame a Dodge Hellcat. It’s also in the sweet spot of the Mercedes lineup and timeline, where the car’s design feels just right and there’s an emphasis of on elegant, flowing lines over the contemporary sharp, aggressive angles. In my opinion, it’s one of the best looking and sounding Mercedes sedans ever made with a supercharged exhaust note that would make anyone with ED skip their daily dosage. While the auction hasn’t seen its reserve price, I’d wager that the car will sell for well below the $20k that a new econobox costs nowadays. The car doesn’t leak any fluids at all. YES ALL THE AIRMATIC STRUTS HAVE BEEN REPLACED ALREADY... AND HAVE A LIFETIME WARRANTY ON ALL 4 STRUTS !!!!!! I’d buy this car as a time capsule, because it’s damn certain that Mercedes would never build another sedan that has such style and presence, while blending in so well with its surroundings. If you didn’t know that it had a 5.4 liter supercharged V8 under the hood, you’d rightly mistake it for a regular E-class rolling down the road, and that’s the point of a Mercedes-Benz. It’s an experience for the driver, first and foremost, without the risk of unwanted attention. This car might just be my next daily driver. I hope one of you beats me to it. Tavarish is the founder of APiDA Online and writes and makes videos aboutbuying and selling cool cars on the internet. He owns the world’s cheapestMercedes S-Class, a graffiti-bombed Lexus, and he’s the only Jalopnik author that has never driven a Miata. He also has a real name that he didn’t feel was journalist-y enough so he used a pen name and this was the best he could do.